How do you break through the noise of the inbox to get your emails noticed and ensure they are generating results for your practice? Today’s email inboxes are crowded and overloaded with marketing emails, many of which are not getting opened or clicked. If you’re sending monthly “e-blasts” and other marketing emails to your patients, your open rates may be 18% to 25%. Your click rates may be 2% to 9%. Maybe they’re lower, or maybe they’re higher. Either way, let’s take a quick example. If 2 out of every 10 patients who open your email make an appointment for a service or purchase a product, think of how your bottom line could be affected if you could increase your list size by 5% or 10%, or increase your open rate by 5% or 10%. Better yet, if you could also increase the number of openers who act to make a purchase, in our example from 2-out-of-10 to 3 out of every 10 openers, that would make a significant impact on your email ROI. So what can you do to stand out and be sure that more of your patients are seeing, reading, and engaging with your practice’s marketing emails? There are some key strategies for creating more valuable and effective emails that your patients will want to open and act on. Here are just a few simple tips. 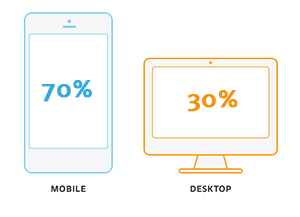 On average, 55% to 60% of all emails are now read on mobile devices. Across DermPRO clients, mobile device opens are generally even higher. In fact, mobile devices account for as much as 75% of the opens for some of the practices for whom we do email marketing. Whether it’s 55% or 75% of your emails being read on mobile devices, you must ensure that your emails look great and are easy to read and interact with on all devices on which they will be read. Include large calls-to-action that are attractive and will be easy to identify and click or press. Whether it’s monthly specials, targeted remarketing messages, birthday emails, ecommerce transactional emails, or other email communications, responsiveness is required if you want to drive reader engagement and results. TEST IT Open one of your emails on your mobile phone. Does it look great? Is it readable without a lot of swiping, pinching, expanding, etc? Use a branded, responsive email template for consistency and usability. Using a template that you have tested and you know looks great in multiple email programs and on multiple devices will firstly help ease the implementation of mobile-friendliness, which is a key feature as previously discussed. A template will also ensure that your patients recognize your emails and correlate them with your brand. Your emails are how your patients and prospective patients are seeing you on a weekly or monthly basis. They should not only be recognizable and consistent from email to email, but they should have a consistent look and feel with your website, online store, social accounts, printed collateral, and other marketing materials. A professionally-designed template lends a credibility and sophistication to your email communications. A branded, responsive email template will improve effectiveness and customer experience. TEST IT Look at the last 3 emails you sent to your patients. Do they have your logo and practice branding clearly and consistently displayed? If you have an image representing your current specials or an event on your most recent email, will your patient see that same image on your website when they visit your website, or on a flyer in your office when they come into the office? Your patients are likely busy people, and quite possibly a significant percentage of them are working moms. When are they reading their emails and making purchases? DermPRO’s data shows that the emails we send for our clients are being read throughout the day and evening hours, with about 55% of the clicks and conversions to purchases happening during evening hours and on weekends. What kinds of calls-to-action do your emails contain? If there are none, or only “call us” calls-to-action, you are missing an opportunity to convert your readers into buyers. Of course, DermPRO is an ecommerce provider, so our emails include calls-to-action like Shop Now and Get in Now buttons. These actionable calls to action enable recipients to act on special offers immediately, rather than having to wait until your office is open to call you for more information. When your email invites the reader to Shop Now, RSVP Now, or Buy Now, allowing them to click through to an online store where they can see sale pricing and make a purchase, you will improve your results. A recent study showed that peak online shopping time is 8pm. Having a specials page with purchasable items or a full online store where your promoted items can be purchased will help you take advantage of this trend and convert your email readers into buyers. TEST IT Open the last email you sent to your patients. What are the calls to action? If the only one is Call the Office, you are losing business. We work with hundreds of medical offices. I’m often surprised by how many of them are not using a systematic procedure for collecting email addresses with the proper opt-in terminology and following up by adding those email addresses to their promotional email list. If you provide both medical and cosmetic services, your medical patients are a ready audience for your aesthetics promotions. Include HIPAA-compliant verbiage on your patient intake forms which will allow you to send promotional emails to your patients. If you have a database of patients that are not opted-in to receive your marketing communications, you can run a campaign to invite those patients to subscribe. DermPRO’s popular Email Opt-In Campaign service takes care of all the details of this type of campaign for you. Our average increase in list size is 10-15%. We just completed a campaign that increased a dermatologist’s marketing list by 50%! Complete the form on the right to learn more about this service. Personalization is an important trend in email marketing today. I invite you to refer to a previous blog post, Personalization is Now, for more information about how to create targeted messages to the right people at the right time. Now is a great time to rethink your email strategy and resolve to make some changes that will increase the quality of your marketing emails and the value of your email subscriber list. 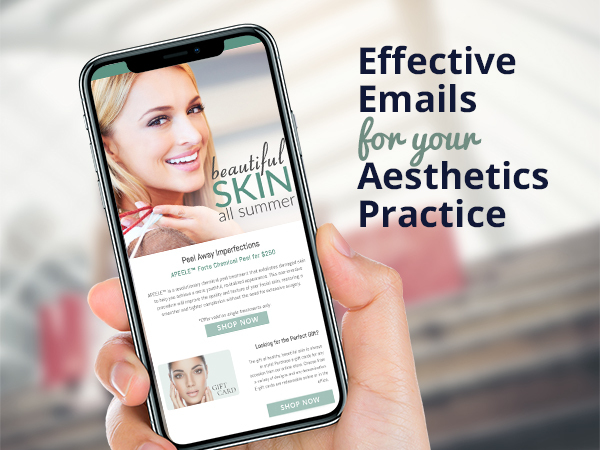 Complete the Demo Request form on this page to learn more about DermPRO’s email marketing services for dermatologists, plastic surgeons, and medical spas. Previous PostPrevious Aesthetics Specials and Promotions Every Month: Done! Consistent, branded, responsive, actionable emails will drive reader engagement and boost your email marketing ROI.